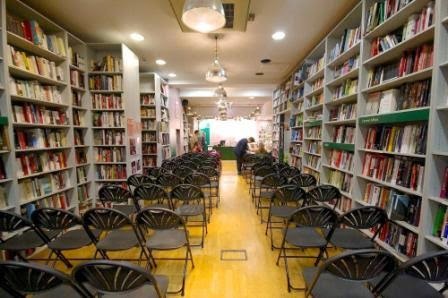  Home  Albania  Books  Bookshops  Britain  Greece  Macedonia  What is Place? These two questions are posed on the flyleaf of Philip Marsden’s most recent book, Rising Ground. 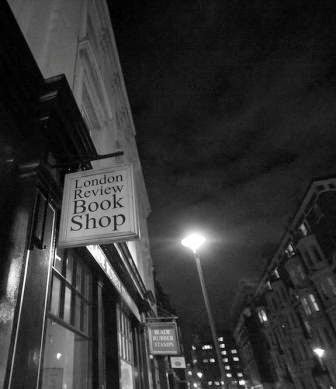 His book also lent its title to an interesting event which I attended at the London Review Bookshop last Tuesday. Rising Ground – Place Writing Nowbrought together Philip Marsden and two other writers, Ken Worpole, and my friend, Julian Hoffman, in a discussion chaired by the Whitechapel Gallery’s Film Curator, Gareth Evans, to unfold the question – what is place? “Writing about place,” is, according to the event blurb, “a sub-genre of travel writing that subverts it by being about staying put, rather than moving.” It was a fascinating evening which certainly helped broaden the horizons of the mind. Each of the three writers was in agreement that the idea of place is intrinsically linked to perception. In using the framing device of place there is a clear distinction between knowledge and experience. We might know a particular landscape as intimately as another person in the detailed terms of its geography, its topography, its history, or how it might have changed or been changed over time, but that other person may well have had a radically divergent experience of that same place to our own. Each of the three writers spoke about particular places they have come to know and explored intimately, which they have then gone on to write about. For each, the motivations and modes of perception may have been different yet all three were deeply rooted in the concept of being at home. In this context, Hoffman’s favourite idea expressed in the words of the poet, Rainer Maria Rilke, that “everything beckons us to perceive it,” was frequently quoted and referred back to by each of the writers in relation to their own work and experiences with regard to place. 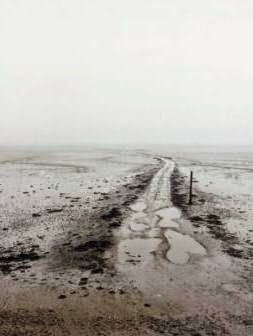 For Marsden it is a personal search for the spirit of place; for Hoffman it is about being at home in a beckoning world; and, for Worpole it is about questioning received opinions, and, in so doing, forming our own ‘re-representations’ of what a particular landscape is, or represents, to us personally. 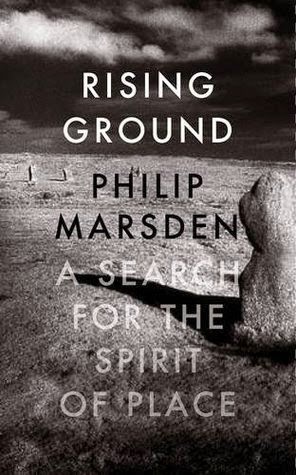 Philip Marsden’s most recent book, Rising Ground, very interestingly for me (although I’ve yet to read the whole book) explores the wider locales around his home in Cornwall. Leafing through the book I can see many references to places both widely known and more obscure which are very well known to me having grown up during long childhood summers spent in that particular county. It will be interesting to see how different or coincident my experiences of these places will measure against his own. 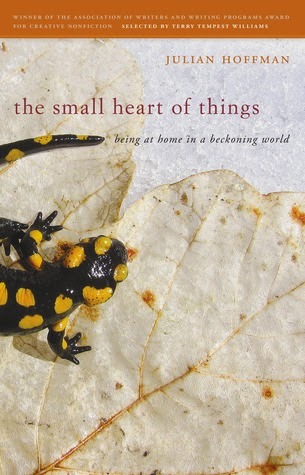 Julian Hoffman’s wonderfully lyrical book looks at his adopted home in Greece by the Prespa Lakes, located in a transnational boundary park whose shores are also shared by Albania and the former Yugoslav Republic of Macedonia – with all the complicated cultural history and diversity that such human imposed national boundaries have brought to bear on the everyday lives of those people sharing a home and a personal heritage in that locale. 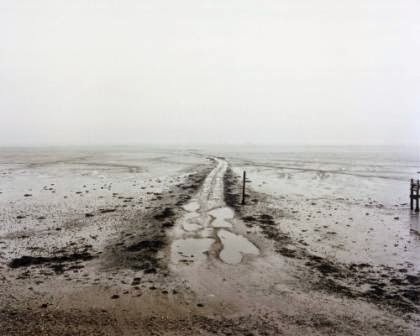 Ken Worpole’s most recent book, The New English Landscape, is a collaboration with the photographer, Joseph Orton, which proposes a new paradigm for topographical beauty based on the post-industrial landscape of the Thames estuary, another part of the world closely connected to me as I now live only a few yards away from the banks of this great river. There are many ways to experience and to describe place. Personal response is one means; another might be through the stories of other people, of which the writings of Rachel Lichtenstein were cited as a foremost example. 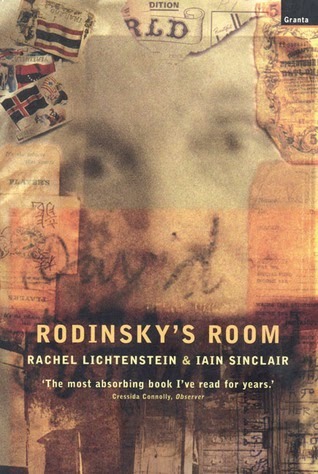 Indeed, her Rodinsky’s Room (written with Iain Sinclair) is a fascinating book – mysterious and moving by turns, in the narrative arc of her investigations into the remnant world of one man’s vacant home, still filled after many undisturbed years with all his abandoned possessions. A thoughtful exploration, forlorn but ultimately uplifting in its sifting through the accumulated layers of perception, projection, and the consequent misconceptions which seemed to have accrued through time, until person and place are ultimately, in several senses of the word, – relocated. As Philip Marsden noted there can be ‘a cacophony of interpretation’ which builds through time in relation to particular landscapes. These can be both positive and negative. 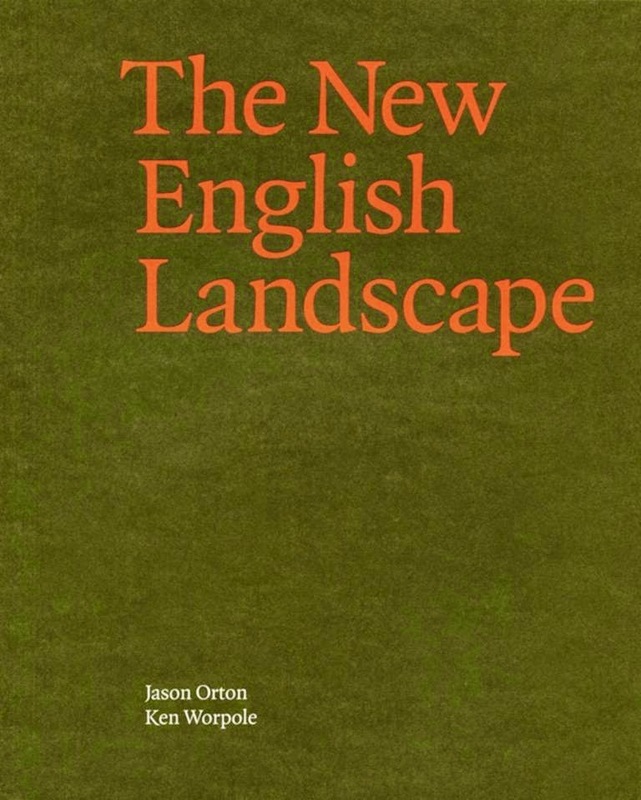 Whether it be a depressive dismissal of a decaying post-industrial landscape, or the idealised projections through which an unknowable Neolithic landscape might evocatively enter and captivate our imagination, or vice versa – these surmises probably say more about us and the nature of ourselves than the true essence of such a landscape itself. Writing about place can be a means of ‘digging in and putting down roots,’ or it can be about looking back after displacement and viewing the place from which we’ve come with eyes renewed; our reflections become refracted, lingering resonances reverberating in unexpected ways – we may even end up feeling closer to the place we’ve left simply because we’ve left it. In this sense, opening yourself to a new way of perceiving somewhere – ‘unfolding place’ – is a renewed way of experiencing it. As Ken Worpole observed, accepting a ‘cookie cut’ notion of what a place is like merely on the say-so of other people is simply a way of denying ourselves our own experiences, and thereby depriving ourselves of our own intuitive responses, which – if we stopped to examine them – may well be surprisingly different to those of the hive mind. Rural and urban spaces need not necessarily be seen in opposition or viewed as enemies of one another. They may even be closer (physically) and more closely interlinked (on multiple levels) than we realise; by putting ourselves (physically and mentally) in motion we can exchange one for the other more completely than we might otherwise have assumed. Just as those living transient lifestyles in a constant state of motion – such as hunter-gatherer communities, or nomadic shepherds, who continually relocate and renew their home-bases, and so are seen to be idyllic, happy, and at ease in their landscapes, whereas sedentary farmers are said to hatethe land which they feel chained to – so we can see how perceptions of place drawn from outside and inside can differ and perhaps are not so clearly cut after all. Just as landscapes can bleed gradually, one into another, so too can our perceptions of place, as well as other people, and our own individual and collective locations within these landscapes which we have shaped into being as the places which we inhabit – the world around us, which we call our own whilst simultaneously sharing it with others. 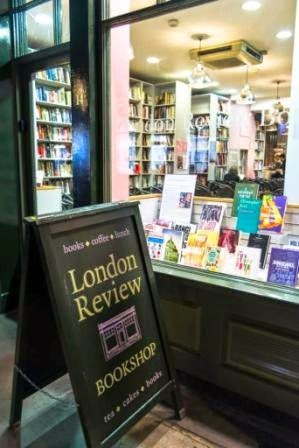 Rising Ground – Place Writing Now at the London Review Bookshop, well attended with many thoughtful questions and observations from the audience, was a thought provoking and enjoyable evening. One which certainly made me see the world rather differently than I perhaps had done so before. I’m sure the thoughts and ideas which this evening inspired in me, and which I’ve tried to capture here, will linger long in mulling, and so permeate into my own perceptions of place renewed. See 'Person & Place' for my review of a similarly themed event on 'Capturing a Sense of Place' with the writers Mahesh Rao, Colin Thubron & Tracy Chevalier at Daunt Books earlier this year.